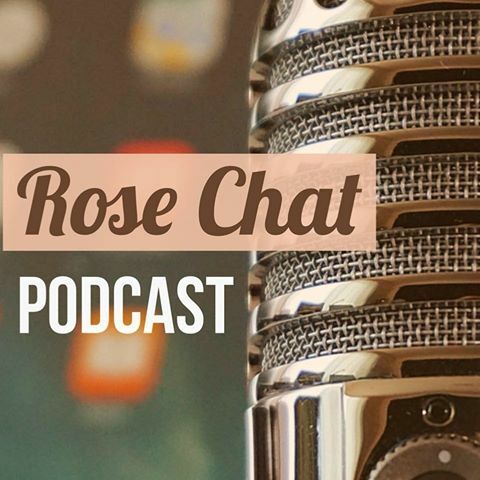 I love most plants but I find that when thinking about buying a plant other than a rose, I consider how it will look with the roses. So, all in all, you could say in my garden I have ROSES and I have ROSE COMPANIONS. 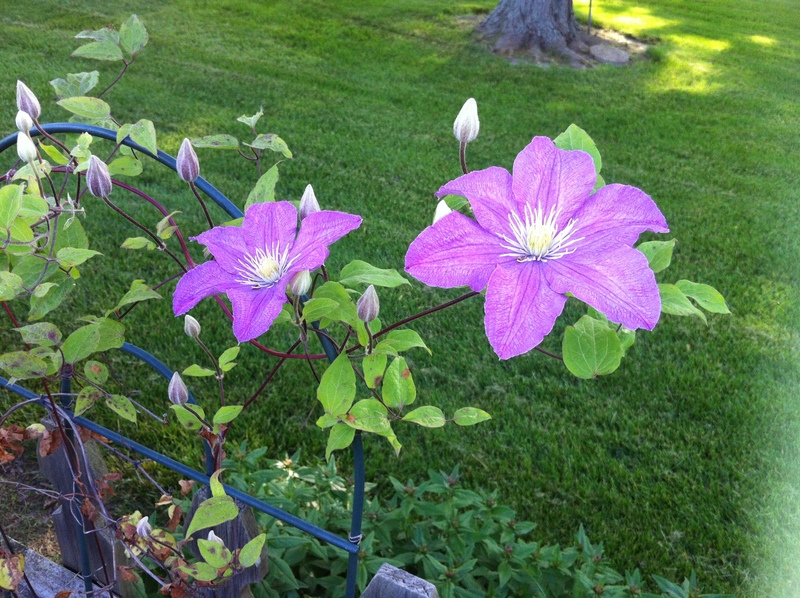 One of my favorite rose companions is the lovely clematis. 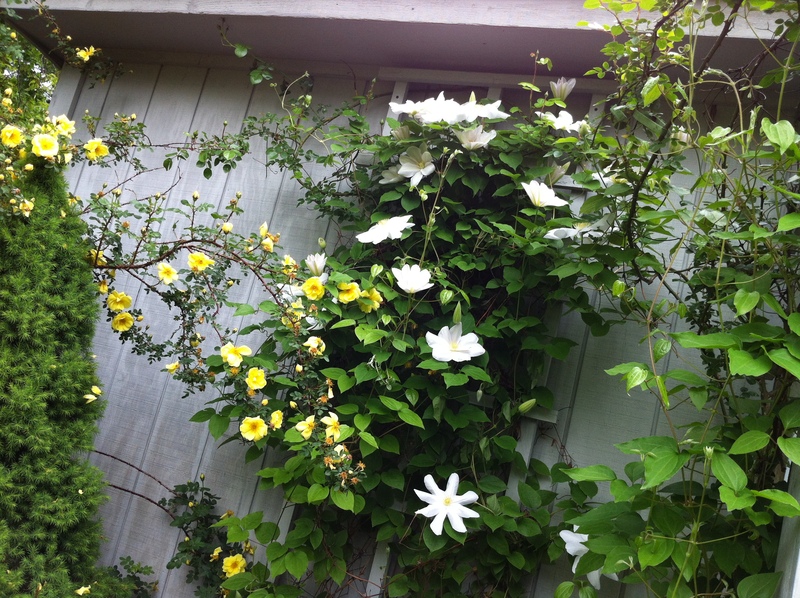 Whether you pronounce it KLEM-UH-TIS or KLEE-MAH-TIS, I think they make wonderful companions for my roses. Henryi works very well with New Dawn and Harison’s Yellow. Excellent information!! 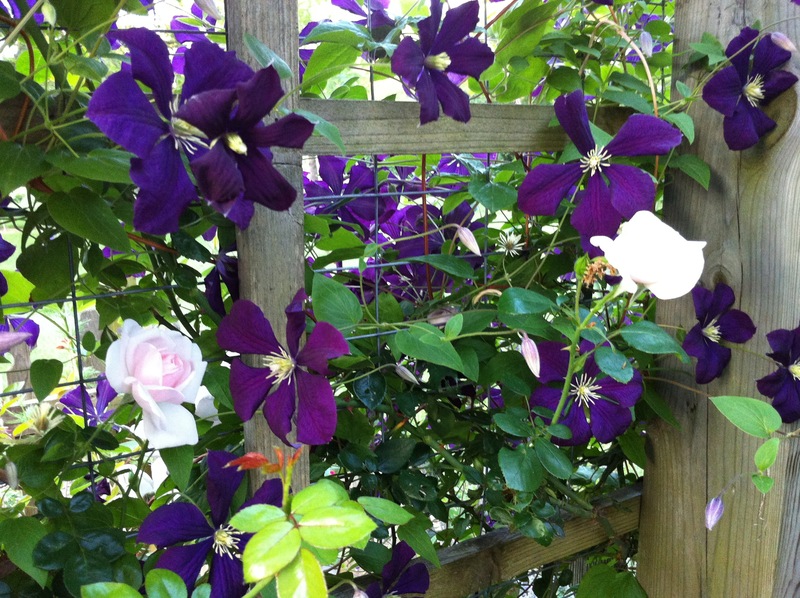 I love the clematis plant, but I never thought about coordinating them with the roses in the garden. I tend to just go with a color scheme. 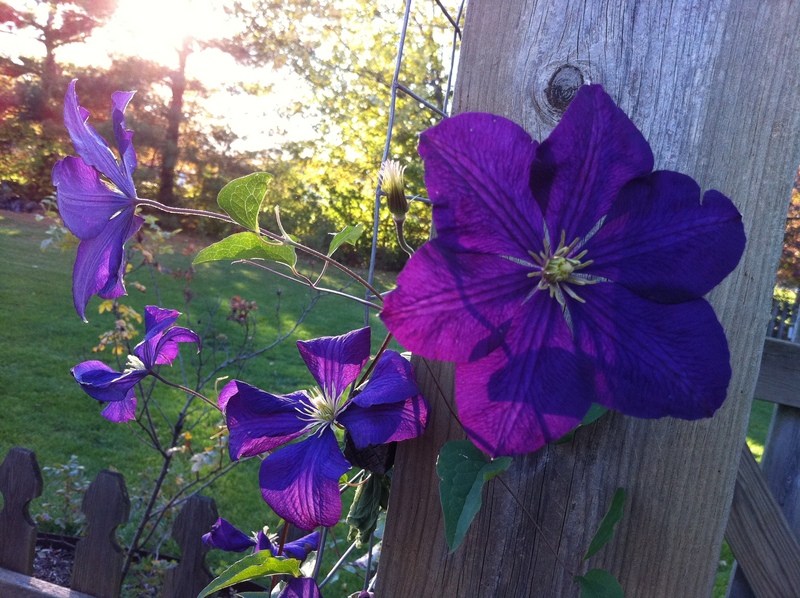 i love the clematis plants in your photos. You are making me eager to plan for next spring!! Thanks so much!! Beautiful photos! When were these photos taken? Have you had frost yet? They were taken this summer. 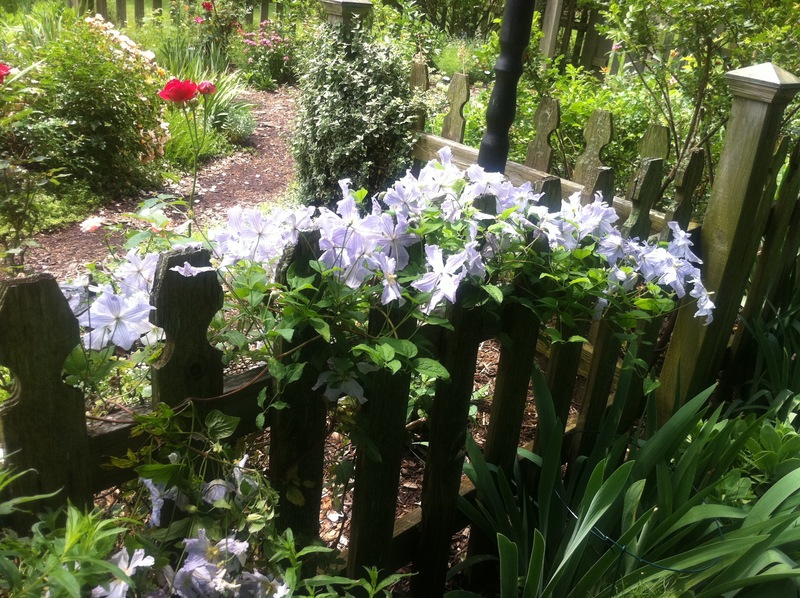 I do have one clematis still blooming. But, yes we have had several frosts. 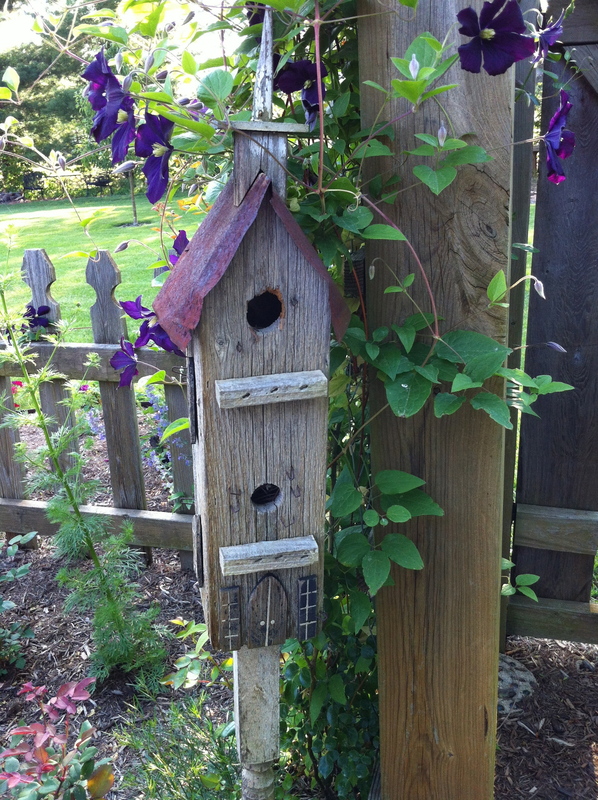 I see that clematis is a great companion to bird houses as well as roses! Lovely! Very pretty! I like the photo of the deep purple with the yellow peeking behind it. Since yellow and purple are opposites on the color wheel, I think that combo helps both stand out beautifully! Thanks so much for posting these pics. 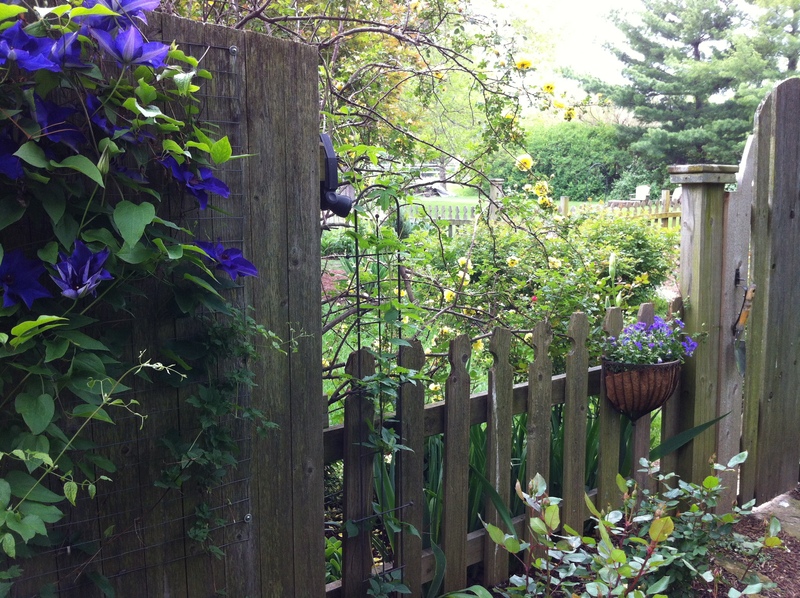 I know I need more clematis, and you have given me some wonderful ideas about planting them with my roses. I especially love the pairing of New Dawn with Etoille de Violette. Etoille de Violette! 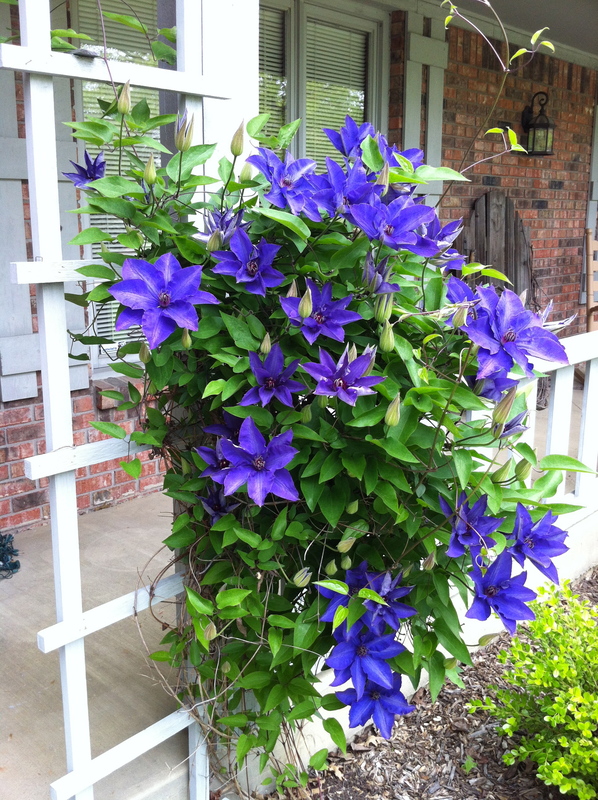 An exquisite name for this beautiful Clematis. Thanks again for the stroll amongst all the lovelies. I think I am going to get another one of those this year. The only company I know that sells the is White Flower Farm. It is stunning in person!